Mindful Nutrition with Megan here to give you my famous guacamole recipe! If you think you don’t like avocadoes…try them again like this and your taste buds will thank you! 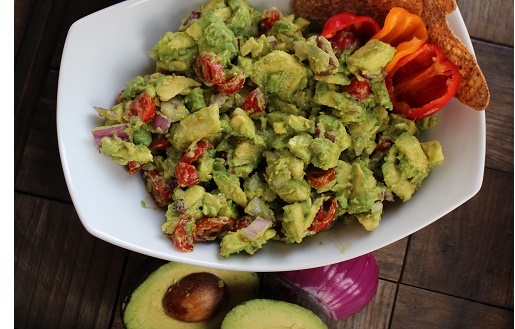 Avocadoes are FULL of heart-healthy monounsaturated fat and fiber to help keep you full. Instead of dipping your regular tortilla chip, use a bean chip to add protein and fiber or veggies for a low-calorie nutrient-dense option. Enjoy and Happy Cinco De Mayo!